The reservists were to report to a base unit located in their area. The base unit furnished the personnel to operate the detachment and provided essential base services. ADC programmed to have AT-6 Texans, AT-11 Kansans and P-51 Mustangs available for reserve pilots to fly four hours per month to train and maintain proficiency. ADC intended to activate forty base units operational by 1 July. The 468th Army Air Forces Base Unit (Reserve Training) at Memphis Municipal Airport (MAP), Tennessee, reservists conducted the first postwar Air Reserve training flight in an airplane, probably a C-47, borrowed from the 4th Ferrying Group. By the end of 1946, the command had organized Air Reserve training detachments at seventy bases and airfields. However, limited budgets for the active Army Air Corps meant even less for Reserve Training and a lack of available aircraft (especially the single-seat P-51) led to severe constraints on the Reserve program with training being conducted in World War II training aircraft, which cost much less to operate than single-seat fighter planes. On 21 February 1947, Headquarters Army Air Forces informed ADC to eliminate twenty-nine reserve training detachments as quickly as possible. The program's contractions caused by the fiscal year 1947 budget reductions made it even more evident that there would never be enough units to accommodate all Air Force Reservists who wished to be trained. The Air Force Reserve was affected by fundamental legislation pertaining to the parent Air Force. Even after the Unification Act of September 1947 established the United States Air Force, much of the statutory authority upon which it operated still stemmed from various laws pertaining to the U.S. Army. Under criticism for the inadequacy of its Air Force Reserve program, the new United States Air Force began to revise it in 1948. Contrary to the tendency of the Army Air Forces to orient the Reserve program as an individual augmentation force, it was decided that the Air Force's mobilization requirements called for organized units, both for training and combat. It recommended that all Air Force Reservists be organized into tactical or training units to facilitate administration and training. One of the immediate needs of the Active Duty Air Force was to assemble a tactical airlift force. In June 1950, the United States could count three troop carrier wings: the Regular Air Force's 314th Troop Carrier Wing at Sewart AFB, Tennessee, and the mobilized 375th and 433d reserve wings at Donaldson AFB, South Carolina. The reservists routinely trained in the troop carrier role, participated in several joint training exercises, and discharged the bulk of Tactical Air Command's troop-carrying responsibilities to other agencies. Among the major joint training exercises in which the units participated were Exercise SOUTHERN PINE in August 1951, Operation SNOWFALL in January–February 1952, and Exercise LONG HORN in March 1952. When the Korean War broke out, the Air Force's immediate need was for individuals to raise active force units to their authorized wartime strengths. National policy required preparedness for a conflict in Europe, and the Air Force hesitated to withdraw manpower from the organized units of the Air Force Reserve and the Air National Guard, the only trained augmentation resource available. Therefore, discounting a handful of volunteers, the Air Force's individual replacements to satisfy the demands of the first phase of the Korean War as well as the expansion requirements came from reserve units by using them as "filler" augmentees along with their equipment and aircraft. For nearly a month after American troops went into Korea, the Air Force strove to meet burgeoning personnel requirements with volunteers, offering its reservists and guardsmen opportunities for either enlistment or voluntary recall to active duty. The Air Force's first voluntary recall on 30 June 1950, sought communications and electronic officers, radar officers and specialists, telephone and radio operators and maintenance men, cryptographer operators and technicians, and wiremen and cablemen. Additional calls followed, and by 20 July ConAC had a consolidated recall requirement for almost 50,000 reservists. They included 2,000 pilots, 1,900 specialized observers, 4,326 nonrated officers, and 41,536 airmen. By this time, it was obvious that the need for men could not be satisfied by the voluntary recall which had produced only rated officers. Therefore, by 19 July, President Truman had authorized involuntary recall of reservists for one year. ConAC directed its numbered air forces to select individuals from the Volunteer Air Reserve training program for assignment outside the command. Members of the command's corollary units and its mobilization augmentees and designees could be called up to fill the command's authorized vacancies. The mobilization augmentees of other commands could be recalled to fill any other vacancy in the Air Force. When feasible, corollary unit members were to be used to fill vacancies in their parent units. Members of the Volunteer Air Reserve could be recalled to fill a ConAC vacancy when Organized Air Reserve sources were unavailable, but no member of an organized reserve unit at a flying center was to be individually recalled. Fifteen reserve wings were recalled on various dates between 10 March and 1 May and were inactivated at home stations after their personnel had been reassigned, the units being used as "Fillers" for active duty unit personnel and aircraft requirements. The breaking up of the reserve units upon mobilization evoked a flurry of protest from the reservists and from congressmen representing the states in which the units were located. Reserve unit members believed the Air Force had promised that they would serve together upon mobilization-indeed recruiters of the period had at least implied if not actually asserted as much. On 4 June 1951, Assistant Secretary of the Air Force Eugene M. Zuckert formed a committee under the chairmanship of the Air Force Reserve's General Smith to examine the Air Reserve programs. 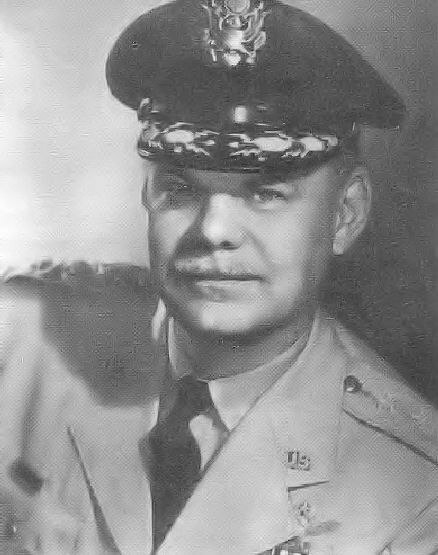 General Smith was a reservist who had been associated with the Air Training Command during World War TI, had served on several of the Air Defense Command's early reserve boards, and had been the first chairman of the Air Staff Committee on Reserve. Submitting a long-range plan for the Reserve Forces of the United States Air Force on 27 July. General Smith asserted that its adoption would provide a balanced reserve force by 1958. The plan provided for 27 Air National Guard and 24 Air Force Reserve tactical wings, 6 Air Force Reserve flying training wings, and almost 1,300 Air Force Reserve nonflying units. This structure would accommodate 250,000 members and provide flying and combat crew training for 38,000 in wing and squadron aircraft. The plan was approved on 9 August. However, due to the recalls caused by Korea, the Air Force Reserve had no aircraft, and none would be available until July 1952. Upon mobilization in 1950 and 1951, Air Force Reserve units remaining intact had kept their aircraft, while aircraft belonging to the mobilized "filler" units had been redistributed. The tactical bombardment and troop carrier wings would be assigned immediately to the Tactical Air Command. As General Twining often pointed out, airlift was one thing the Air Force needed on D-Day, and the thirteen Air Force Reserve wings would certainly add to the force's mobility. The Air Force Reserve's aircrew training activities expanded when Headquarters USAF identified a requirement to train navigators to meet not only the Air Force's day-to-day needs, but also those of the Civil Reserve Air Fleet. Starting in January 1955, a ConAC program offered refresher and continuation academic and flying training to the navigators. As enrollment in the program reached 5,000 annually, ConAC established navigator replacement training squadrons at the site of each Air Force Reserve wing. Reservists took their monthly inactive duty training at these sites. The program initially employed TC-45 Expeditor and TC-47 Skytrain aircraft until T-29 Flying Classrooms became available. On 1 July 1956, the 319th Fighter-Bomber Wing at Memphis Municipal Airport began standing F-84E runway alert under operational control of the 20th Air Division, joining Air National Guard units as part of the Air Defense Command's defense network. On 6 January 1961 Soviet Premier Nikita Khrushchev vowed to "eradicate the splinter from the heart of Europe", but he also agreed to meet the new U.S. President, John F. Kennedy in Vienna, Austria, in June, implying that he would take no action on the status of Berlin until after their meeting. The June meeting between president Kennedy and Premier Khrushchev did not go well and intensified the tension over West Berlin. On 25 July, President Kennedy went to the nation with his program on the Berlin crisis. He told the people that the U.S. right to be in West Berlin and its commitment to the city had to be defended if the Soviets attempted to curtail them unilaterally. Among other actions announced, Kennedy stated that he initially intended to recall a number of Air Force Reserve air transport squadrons and Air National Guard tactical fighter squadrons, but that he would call others if needed. Congress gave the president the requested powers on 1 August 1961, authorizing him to order reserve units and individual reservists involuntarily to active duty for not more than twelve consecutive months. Of all the Air Force Reserve troop carrier units, the five groups activated and assigned to the mobilized 435th and the 442d Troop Carrier Wings were the least prepared for active duty because they had just begun converting from C-119s to C-124s. The Air Force Reserve 77th Troop Carrier Squadron received its first C-124A at Donaldson AFB, South Carolina, about the time that president Kennedy took office in January 1961. Its five C-124 squadrons were organized on 8 May not a month before the president's meeting with Khrushchev in Vienna. Whether the units were ready or not, the president needed C-124 troop carrier units for the transatlantic movement of personnel and equipment to Europe for NATO reinforcement if necessary, and the reserve units were the only available augmentation. Although not recalled to extended active duty, about one hundred reservists from the Air Force Reserve's five Aerospace Rescue and Recovery Squadrons voluntarily came on active duty to provide rescue coverage for deployment of the jet fighters from the mobilized Air National Guard units to Europe. Four crews and SA-16 aircraft were stationed at Goose AFB, Labrador, and four at Prestwick Airport, Scotland, to reinforce coverage of the northern route; additionally, two crews deployed with their aircraft to Eglin AFB, Florida, to provide against the contingency that bad weather might necessitate a southerly crossing. By 22 August 1962, when the Air Force released the reservists it had mobilized in October 1961, a second crisis had arisen to involve other Air Force Reserve units. The focus of the new problem was Cuba, where a revolution had installed Fidel Castro as president in 1959. The Castro government soon placed itself in the communist group of nations, pursued a social economic agenda and allied itself with the Soviet Union. Relations between the new republic and the United States deteriorated due to Cuba "nationalizing" United States and foreign-owned businesses and seizing the property without compensation to the owners. On 3 January 1961, President Dwight D. Eisenhower broke off diplomatic relations with the Castro government of Cuba, protesting against "a long series of harassments, baseless accusations, and vilification". On the night of 17 April, a force of about 1,500 Cuban exiles supported by the United States landed at the Bay of Pigs on the southern coast of Cuba in the fruitless expectation of inspiring an uprising against Castro. On 1 September 1962, the Soviet Union announced a new treaty of friendship with Cuba under which the island country was to receive Soviet arms and technicians "to resist the imperialists’ ‘threats". With a large segment of the U.S. press and many congressmen urging the administration to act, President John F. Kennedy accepted renewed standby mobilization authority from Congress. The second joint resolution within fourteen months authorized the president to mobilize any unit or member of the Ready Reserve for no more than twelve consecutive months. The resolution gave the administration the same options as the 1961 resolution had to strengthen the active forces by extending tours of duty. Air Force Reserve airlift support of the Tactical Air Command continued at an exceptionally high rate. ConAC increased its normal daily aircraft support to TAC from ten to twenty-five. Between 20 and 28 October, Air Force Reserve C-l19s, C-l23s, and C-124s delivered cargo and military personnel into the southeast and flew priority missions for Air Force Logistics Command, Air Force Systems Command, and Air Defense Command. Having watched the president's telecast the night before, reserve troop carrier wing officials were not surprised on 16:00 23 October when Headquarters ConAC directed them to activate their command posts and operate them around the clock, seven days a week. The command posts did not have to be elaborate, but someone had to be on duty at all times who was in immediate contact with key personnel of the wing. On 27 October the Soviet Union said it would remove its missiles from Cuba and offer a nonaggression pledge to Turkey if the United States would remove its PGM-19 Jupiter IRBM missiles from Turkey and offer a nonaggression pledge to Cuba. With invasion plans for Cuba already in the final planning stages, Secretary of Defense Robert McNamara stated at the White House Executive Committee that additional reserve units were necessary to meet invasion plans and that it would also put some pressure on the Soviets. President Kennedy approved McNamara's recommendation to mobilize 24 Air Force Reserve troop carrier squadrons-about 14,000 reservists and 300 planes. This was the flashpoint of the crisis. At the White House, President Kennedy ordered the twenty-four troop carrier squadrons of the Air Force Reserve to active duty. They would be necessary for an invasion of the island, which was in advanced planning stages. Kennedy had not abandoned hope, but what hope there was now rested with Khrushchev's revising his course within the next few hours. The official recall message came in from Headquarters USAF at 02:23 28 October. The message ordered one C-123 Provider and seven C-119 Flying Boxcar troop carrier wings along with six aerial port squadrons to extended active duty at 09:00 28 October 1962 for no more than twelve consecutive months. The mobilized Air Force Reserve units brought 14,220 people and 422 aircraft on active duty on 28 October. About the time the mobilized troop carrier wings came on active military service at 0900 the White House received a new message from Premier Khrushchev. Conciliatory in tone and accepting president Kennedy's terms, it promised removal of the missiles and verification of the fact by the United Nations. Although this definitely relieved the crisis, the president decided that United States ships would stay on station in the "Quarantine Zone" and that the recalled Air Force Reserve units would remain on active duty pending satisfactory United Nations arrangements. Not until 20 November, therefore, did president Kennedy announce that he was lifting the quarantine and that the mobilized air reserve units would be released before Christmas. On 22 November the Air Force directed TAC to release the reserve units at midnight, 28 November. Some personnel voluntarily remained on active duty an additional 30 days, and the last individual reservists were relieved from active service on 29 December. When the Military Air Transport Service (MATS) replaced the Tactical Air Command as the gaining command for Air Force Reserve C-124 units in July 1963, its commander informed ConAC that it was planning to use the reserve units to conduct airlift missions worldwide. The latter half of 1963 became a period of unprogrammed exercise participation for MATS as the entire defense establishment responded to a Secretary of Defense directive to conduct a series of strategic mobility exercises. To sustain some degree of its normal transpacific cargo capability while it was thus engaged, MATS arranged through ConAC for the Air Force Reserve's C-124 Globemaster II units to begin flying missions on the intercontinental Trans-Pacific transport routes in September 1963. Beginning in 1966, as active-duty wings received the jet-powered C-141A Starlifter, additional C-124 Globemaster II aircraft were transferred to eight ConAC wings, replacing the C-123 Provider and C-119 Flying Boxcar tactical airlifters. This provided the command with additional intercontinental airlift capacity. Today, this support continues for Air Mobility Command, with USAF Reserve personnel and aircraft routinely flying transcontinental airlift missions as associate units flying front-line C-17 Globemaster III and C-5 Galaxy transports worldwide in support of the active duty Air Force. By the end of 1964, the United States military forces in Southeast Asia had increased to about 23,000 personnel. As the number of United States combat forces in Southeast Asia was increased, so did their logistics requirements, and that was what drew in the Air Force Reserve C-124 units. Before January 1965, the reservists generally had not gone beyond Japan on transport missions for MATS, but in that month they were called upon to go farther. Late in the afternoon of 23 January 1965, MATS asked if the Air Force Reserve C-124 force could provide urgently needed airlift into South Vietnam. It was determined that the Reserve units could perform thirteen trips into Tan Son Nhut Air Base, near Saigon. Twenty days later a C-124 of the 935th Troop Carrier Group was en route to Tan Son Nhut AB from Richards-Gebaur AFB, Missouri, initiating the Air Force Reserve's Southeast Asia commitment. For about a year beginning in January 1964, the Air Staff discussed the issue of merging the Air Force's two reserve components. Its considerations were stimulated in part by its own Chief of Staff and in part by related developments in the U.S. Army. For one thing, General Curtis LeMay, who as Vice Chief of Staff in 1959 had advocated eliminating one of the two Air Reserve Forces and as Chief of Staff he revived the issue. ^ a b c d e f g h i j k l m n o p q r s t u v w x y z aa ab ac ad ae af ag ah ai aj ak al am an ao ap aq ar as at au av aw ax ay az ba Ravenstein, Charles A. (1984). Air Force Combat Wings Lineage and Honors Histories 1947–1977. Maxwell AFB, Alabama: Office of Air Force History. ISBN 0-912799-12-9. ^ a b c O'Connell, Charles F. (1987), First Fighter, A History of America's First Team, 1918–1983. Office of TAC History, Headquarters, Tactical Air Command, Langley AFB, Virginia. The 302d Operations Group is the operational flying component of the 302d Airlift Wing of the United States Air Force Reserve. It is stationed at Peterson Air Force Base, Colorado. The group was activated during World War II as the 302d Bombardment Group, a Consolidated B-24 Liberator replacement training unit (RTU). It was originally a Second Air Force unit, it was reassigned to First Air Force in 1943. The group was inactivated in 1944 when the Army Air Forces reorganized its training units to make more efficient use of its manpower. The group was redesignated the 302d Troop Carrier Group and activated in the Air Force Reserve in 1949. The group was called to active duty in June 1951 and its personnel used as fillers for other units before the 302d was inactivated a week later. The group was again activated in the reserves in 1952 and trained as an airlift unit until it was inactivated in 1958 when Continental Air Command converted its operational wings to the dual deputy system in which squadrons reported ddirectly to wing headquarters. The group was activated again when Air Force Reserve Command reorganized under the Combat Wing reorganization. The 305th Air Division is an inactive United States Air Force organization. Its last assignment was with Continental Air Command, assigned to Fourth Air Force at McChord Air Force Base, Washington, where it was inactivated on 27 June 1949. The division was first activated in December 1943 as the 305th Bombardment Wing, although it was used to man other organizations and had no combat units assigned until a month after VE Day when it absorbed the assets of a provisional fighter wing, and the units of another fighter wing, but no bombardment units. When the surrender of Japan occurred, the unit no longer anticipated a transfer to the Pacific and was inactivated in September 1945. It was activated in the reserves in 1947. The 309th Air Division is an inactive United States Air Force organization. Its last assignment was with Continental Air Command, assigned to Twelfth Air Force at Hensley Field, Texas. It was inactivated on 27 June 1949. The division was first activated in 1944 in New Guinea during World War II as the 309th Bombardment Wing. The wing acted as a task force headquarters controlling forward based units of Fifth Air Force in New Guinea and during the Liberation of the Philippines. Following the war, it moved to Japan and served as part of the occupation forces until inactivating in March 1946. It was activated again nine months later in the Air Force Reserve. The 310th Air Division is an inactive United States Air Force organization. Its last assignment was with Continental Air Command 's Twelfth Air Force at Tinker Air Force Base, Oklahoma, where it was inactivated on 27 June 1949. The division was first activated as the 310th Bombardment Wing in New Guinea during World War II. It served as a task force headquarters, commanding advanced elements of Fifth Air Force during the New Guinea campaign and the liberation of the Philippines. After VJ Day, it moved to Japan, serving in the occupation forces until inactivating in March 1946. The wing was again activated in the reserves in 1947, becoming a division the following year. The 338th Bombardment Group is a disbanded United States Air Force unit. It was last active with Continental Air Command at O'Hare International Airport, Illinois on 27 June 1949. It was first activated during World War II as the 338th Fighter Group and served primarily as a training unit until it was disbanded in 1944. The group was reconstituted in the reserves in 1947, but was inactivated when military spending was reduced in 1949. The 446th Operations Group is a United States Air Force Reserve unit assigned to the 446th Airlift Wing. It is stationed at McChord Air Force Base, Washington. The group was first activated as the 446th Bombardment Group and served in combat as an Eighth Air Force B-24 Liberator unit in England. In 1944 the group led Eighth Air Force and the 2d Bombardment Division on the first heavy bomber mission of D-Day. The group's 706th Bombardment Squadron flew 62 consecutive missions and 707th Bombardment Squadron had 68 missions without loss. After V-E Day the group returned to the United States, where it was inactivated in August 1945. The group was activated again in the Air Force Reserve in 1948 at Carswell AFB, Texas. It trained alongside the active duty 7th Bombardment Group until 1951 when it was called to active duty so that its personnel could be used as fillers for other units, then inactivated. In 1955 the group was again activated in the reserve as the 446th Troop Carrier Group at Ellington AFB, Texas. It was inactivated in 1959 when Continental Air Command reorganized its wings under the dual deputy model, which eliminated operational and maintenance group headquarters. The group was activated a fourth time in 1992 as the command element for the flying units of the 446th Airlift Wing as reserve units reorganized under the Objective Wing organizational model. The 448th Supply Chain Management Wing, a wing of the Air Force Sustainment Center of Air Force Material Command serves as the Air Force's supply chain manager headquartered at Tinker Air Force Base, Oklahoma. The wing was first activated in the reserve as the 448th Bombardment Wing in 1949 when Continental Air Command converted its reserve flying organizations under the wing base organization system. It was called to active duty in 1951 for the Korean War, but inactivated a few days when its personnel were transferred to other units. It was activated again as the 448th Fighter-Bomber Wing in 1955, when it replaced a flying training wing at Hensley Field, Texas. It was inactivated two years later when the Air Force converted its reserve flying units to troop carrier units. The 44th Air Division, Bombardment was redesignated as a division on 16 April 1948, when it was at Brooks Field (later, Brooks Air Force Base), Texas, under the 14th Air Force, then transferred to the 12th Air Force on 1 July 1948. The 514th Air Mobility Wing is a wing of the United States Air Force based at Joint Base McGuire-Dix-Lakehurst, New Jersey. The 514th is an associate Air Force reserve unit. The wing flies aircraft assigned to the active-duty 305th Air Mobility Wing, also based at McGuire. The 514th shares the responsibility of maintaining and flying the McDonnell Douglas KC-10 Extender and the McDonnell Douglas C-17 Globemaster III. The wing was organized in June 1949, whe Continental Air Command reorganized its reserve units under the wing base organization. It was mobilized for the Korean War, serving at its home station as part of Eighteenth Air Force, which was initially composed of reserve troop carrier units. The wing was released from active duty and inactivated in February 1953. The wing was reactivated in April 1953. In 1968, it lost its aircraft and became an associate unit, flying and maintaining aircraft of the regular 438th Military Airlift Wing, and later of the 305th Air Mobility Wing. The 63d Air Expeditionary Wing is a provisional unit of the United States Air Force. It is assigned to Air Mobility Command to activate or inactivate as needed. No publicly available information indicates it has been active as an expeditionary unit. The wing was last active as the 63d Airlift Wing at Norton Air Force Base, California, where it was inactivated on 1 April 1994. The wing was first activated as the 63d Troop Carrier Wing in the Air Force Reserve in June 1949, when Continental Air Command reorganized its units under the wing base organizational model. It was ordered into active duty for the Korean War in May 1951 and, after its personnel were used as fillers for other units, inactivated a week later. The wing was activated as a heavy troop carrier unit in 1953 under Tactical Air Command. In 1957, heavy troop carrier units in the United States, including the wing, were transferred to Military Air Transport Service. The unit continued to fly the Douglas C-124 Globemaster II until 1967, when it moved to Norton Air Force Base and began to operate the Lockheed C-141 Starlifter. The wing served as a strategic airlift unit until it was inactivated in 1994. The 77th Air Refueling Squadron is a United States Air Force Reserve squadron, assigned to the 916th Operations Group, stationed at Seymour Johnson Air Force Base, North Carolina. The unit was first activated during as a Douglas C-47 Skytrain transport unit that saw combat with the 435th Troop Carrier Group in Western Europe. The squadron flew paratroopers on airborne assaults on Normandy (Operation Overlord); Southern France (Operation Dragoon); the Netherlands (Operation Market Garden), and Germany (Operation Varsity). It also flew combat resupply missions in the relief of Bastogne in 1945. The 77th was awarded a Distinguished Unit Citation for its actions during the Normandy invasion. The squadron was activated in the reserve in 1947. It was called to active duty in March 1951 for the Korean War, serving at its home station, Miami International Airport. It returned to reserve duty in December 1952. In November 1959 it was assigned directly to the 435th Troop Carrier Wing in a reorganization of Continental Air Command reserve units. The 81st Fighter-Bomber Group (81 FBG) is an inactive United States Air Force unit. It was last assigned to the 81st Fighter-Bomber Wing at RAF Bentwaters, England. It was inactivated on 8 February 1955. The 84th Combat Sustainment Group is an inactive United States Air Force (USAF) group last assigned to the 84th Combat Sustainment Wing at Hill Air Force Base, Utah, where it was inactivated in 2010. The group was formed in 1942 as the 84th Bombardment Group, one of the first dive bomber units in the United States Army Air Corps and tested the Vultee Vengeance, proving that aircraft unsuitable as a dive bomber. As an Operational Training Unit, it was the parent for several other bombardment groups, but from 1943 until it was disbanded in 1944, trained replacement aircrews as a Replacement Training Unit designated the 84th Fighter-Bomber Group. The group was again active as a fighter group from 1949 to 1951 in the Air Force Reserves, with no equipment of its own, but using that of the Regular 52d Fighter-All Weather Group until it was called to active duty in 1951 and its personnel used to man other units. In 1955, as part of an Air Defense Command program to revive fighter units that had served in World War II, the group became the 84th Fighter Group (Air Defense) and served as the USAF host at Geiger Field and served in an air defense role in the northwestern United States until inactivating in 1963. The group changed missions again, becoming a logistics unit when activated in 2006 as part of a major reorganization of Air Force Materiel Command (AFMC). It was inactivated in 2010, when this reorganization was reversed, and AFMC returned to a more traditional organization. The Fourteenth Air Force (14 AF; Air Forces Strategic) is a numbered air force of the United States Air Force Space Command (AFSPC). It is headquartered at Vandenberg Air Force Base, California. The command is responsible for the organization, training, equipping, command and control, and employment of Air Force space forces to support operational plans and missions for U.S. combatant commanders and their subordinate components and is the Air Force Component to U.S. Strategic Command for space operations. Established on 5 March 1943 at Kunming, China, 14 AF was a United States Army Air Forces combat air force activated in the Asiatic-Pacific Theater of World War II. It engaged in operations primarily in China. After World War II Fourteenth Air Force subsequently served Air Defense Command, Continental Air Command, and the Air Force Reserve (AFR) http://www.afrc.af.mil/. 14 AF is commanded by Major General Stephen N. Whiting. Its Command Chief Master Sergeant is Chief Master Sgt. Patrick F. McMahon. Minneapolis–Saint Paul Joint Air Reserve Station is a United States Air Force base, located at Minneapolis–Saint Paul International Airport. It is located 7.1 miles (11.4 km) south-southeast of Minneapolis, Minnesota. It was formerly the location of Naval Air Station Twin Cities. Mitchel Air Force Base also known as Mitchel Field, was a United States Air Force base located on the Hempstead Plains of Long Island, New York, United States. Established in 1918 as Hazelhurst Aviation Field #2, the facility was renamed later that year as Mitchel Field in honor of former New York City Mayor John Purroy Mitchel who was killed while training for the Air Service in Louisiana. Decommissioned in 1961, Mitchel Field became a multi-use complex that is home to the Cradle of Aviation Museum, Nassau Coliseum, Mitchel Athletic Complex, Nassau Community College, Hofstra University, and Lockheed. In 2018 the surviving buildings and facilities were recognized as a historic district and listed on the National Register of Historic Places.